Savannah Georgia general contractor American Craftsman Renovations is your full service residential general contractor that services Tybee Island for professional window replacement. We have many years of experience and put our knowledge of Savannah properties to work for you. When you want to replace your windows, be sure to give Savannah Georgia general contractor American Craftsman Renovations. Are you tired of high energy bills and hot air creeping in through your windows in the summer and chilly drafts in the winter? 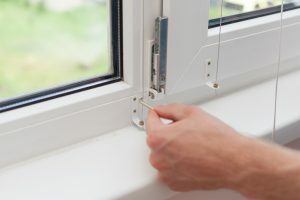 Did you know that the culprit is likely your older single pane windows? Replacing your single pane windows with double or even triple pane windows can reflect 90% and 97% respectively of the energy coming from outside – helping keep hot air out in the summer and cold air out in the winter. Schedule your Tybee Island window replacement in Greater Savannah GA with us today by calling 912-481-8353.